A case study on Bangalore lakes. Bangalore, officially know as Bengaluru is capital of Indian state of Karnataka and is the third most populated city in India. Bangalore is also know as IT capital of India. Bangalore is also famous for its moderate climate all round the year. Reason for the pleasant weather is that it is situated on the Deccan plateau and surrounded by hills from all side. Large amount of lakes in the city also play a important role for the pleasant weather. Lakes in Bangalore were a rich source of bio-diversity attracting lot of birds from outside to come down during seasonal changes making them again a source of attraction. Earlier in 1985, there were 51 health lakes(Source : This link ) which were all together a good source of water consumption and they have now reduced to 17. Growing speed of population in Bangalore and encroachment by land builders are some of the main reason's for the reduce number. Along with the reduced number of lakes, earlier their water was used for the daily purpose, but now their water quality has reduced drastically making it not suitable for use. So we will mainly concentrate on water quality of these lakes and will use our technology of Low power WSN (Wireless Sensor Network) to remotely monitor the quality of water in these lakes and thus would be able to analyze the data to do some analysis and take necessary steps to restore the water quality in the lakes and preserve the bio-diversity around these lakes. Control unit consume/operate at less power - We need to consider a control unit which can operate at 3.3 Volts. We make control unit go in sleep mode after doing some work - we will make our control unit go in deep sleep mode for every 30 seconds, then wake up from sleep mode, read sensors, send data and again get to sleep mode. For those who are interested can have a look at this link for more information of sleep modes. Control unit means, a micro-controller which can do some processing i.e. read some sensor values and send data via some mean to some other device which in our case will be another device having more processing power. Now there can be many queries, why to use micro-controllers when micro-processors with low power mode and high processing speed are available. Reasons are clear, we don't require that processing speed for reading some sensor and we are not doing stuff like parallel processing and neither we are going to add 100 sensors to one micro-controller. why wireless? and which one? This is a also a important question, when things can be done much more reliably using wired communication, then why to go with wireless communication? Answer depend on which environment you are trying to implement wireless communication. With sensors in between of lake, floating on tyre tube, it is almost very tough job to draw wires. Although in rainy season or very humid seasons, wireless communication may get affected, but there are always fallback startgey's to deal with those type of conditions, like 2 handshake, 3 way communication, delivery notification etc. Water quality sensor's are one of the most important part of this project. We have to choose them very precisely considering their resolution, effectiveness and costing. We cannot afford sensor's worg lakh's of rupees for a single lake until and unless, its government fund but on the same time, we cannot compromise the quality of sensors. Below are the list of sensor's, i came across and they give out-put in 4-20mA which can be fed to any PLC. Although some of them give wireless transmission also, but their range is quite limited. And the major problem is whatever range wireless devices provider describe in their "datasheets" differ very much from their real time open environment working range. (2) Central data acquisition node. 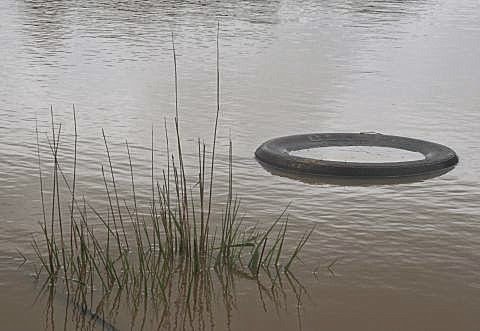 End sensor node's or in general wireless water quality sensors will be places on a floating tire, powered by battery and backed up by solar charging at some point in the lake. Similar type of set-up will be placed at 4 different places in same lake and one specifically i an a location which is close to human set-up's. 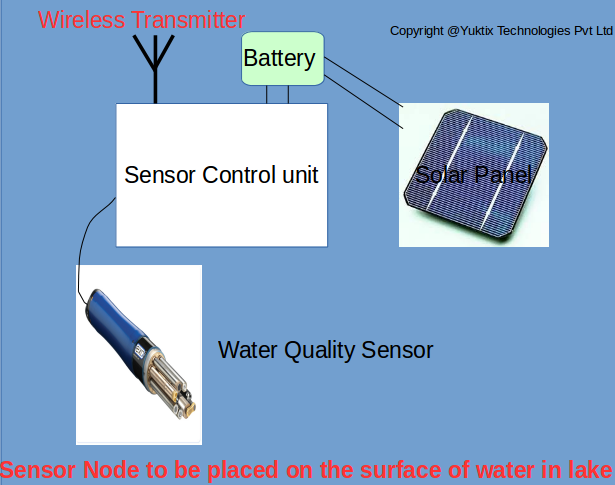 Below pic describe the content of sensor node to be placed in the lake. This set-up will be places on a floating tire as illustrated below. CDA node need to posses high processing power as it will keep on receiving data from each end sensor node after every 15 second or 10 second or even 5 second which is customizable. Reason for making this data sensing time as small as possible is to see the change in water quality during rainy season. CDA will store data in a TS(Time-series database) and after every 5 minute or 3 minute will post data to our central server. 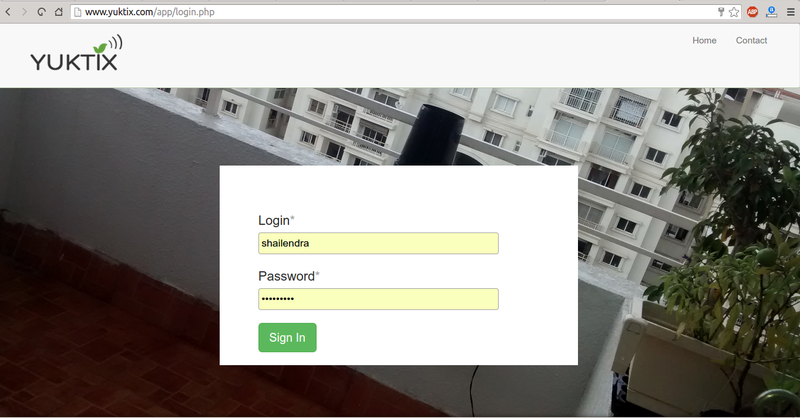 A example set-up will be as depicted in below pic. In this pic, i had considered Madiwala lake. Sensors will be placed at different places in the lakes and CDA will be placed in a reachable place. CDA will also be powered with battery and backed by Solar-power. This will make our project run independent of any power supply. Central Server will be running Yuktix Cloud app. 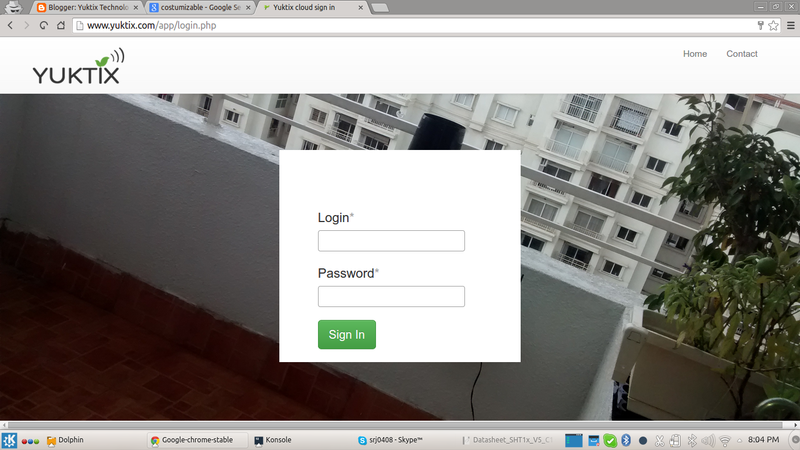 Yuktix Cloud app is able to receive, display and archive data send from a device. 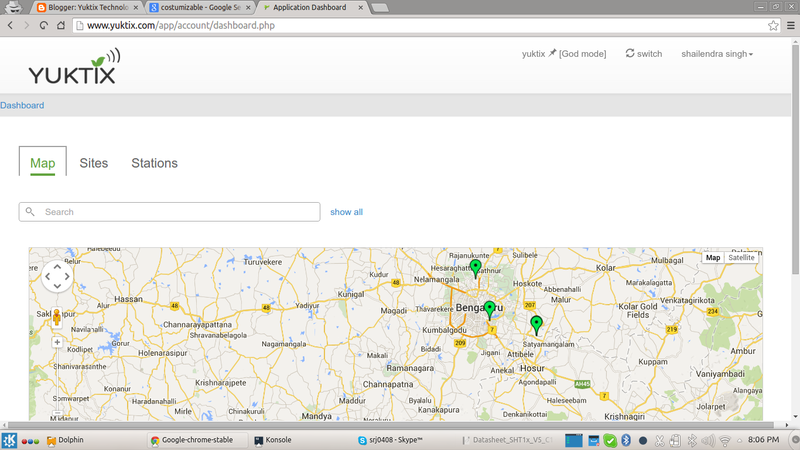 Yuktix cloud app provide a efficient way to manage your devices like making some devices go under one project name, display there location on map or all devices together. Yuktix cloud app also keep data in archive, from where it can be downloaded in future for research and analysis. Similarly, we can send end sensor node i.e. water quality sensor data to CDA and from CDA to Yuktix central server where it can visualized. Below is set-up explanation with a picture. With this kind of set-up, one can easily monitor water quality of the lakes form any remote location, with any requirement of visiting the lakes personally and what ever time one save, can invest the same time in doing more in-depth research. Water has always played a important role in everyone life and with this growing population of banaglore, lakes water have been diluted to a extent that now it's not usable for daily purpose. With this effective technique of remote monitoring, water quality can be monitored and same data can be accessed by local NGO's or any individual to ask government to take necessary action. With this, biodiversity existing in the lake or near-by area can be saved. Lets together make Bangalore a clean city. Ware house monitoring - Measuring the variables of greenhouse. 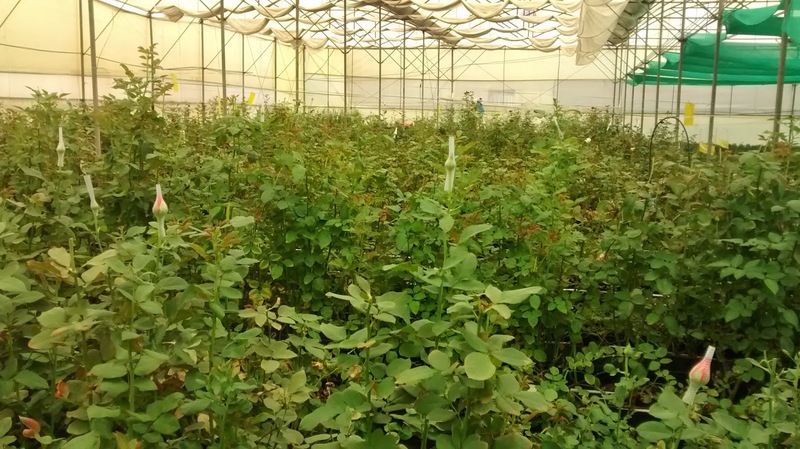 So when we talk about greenhouse remote monitoring, lets first see what happen now days in a typical greenhouse, taking a example of Rose Greenhouse. In a typical rose greenhouse, generally people use manual thermometer and RH meter which measure real time humidity and moisture existing there and note it down in a copy or register date wise. At-least this is what we had observer in India. After manual measurement, they turn ON/OFF their misting system or exhaust fans to control humidity or temperature. And they pass down the readings to their farm manager. If above 2 things are not provided to them, flowers quality might degrade and thus no chance to export it. So these data of Humidity, temperature and lux is of uttermost importance to chrysanthemum growers at all their stages and if they have data, they can use the data to analyze what went wrong last time and can take necessary steps to overcome the same. Being in his home, he can see real time data of his different greenhouses. See variation of data from last few days, few weeks, few months or even year. Save the data in cloud to access it in future to analyze what went wrong in past and take steps to overcome the error. Get notifications when things go out of range. 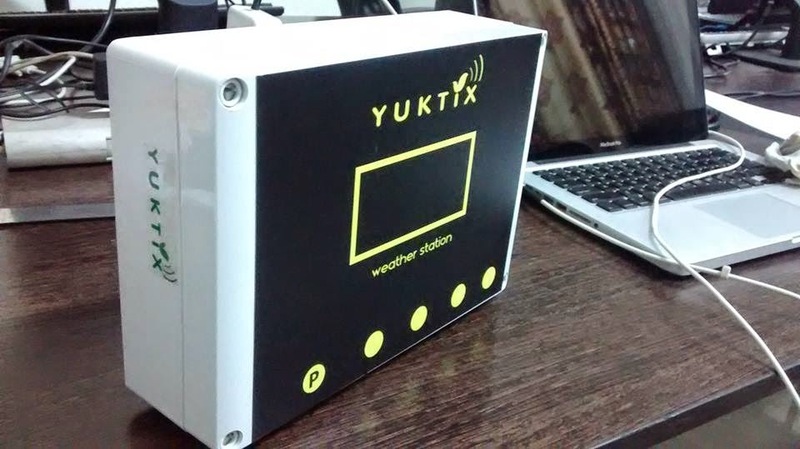 Yuktix Wireless Data logger with precision sensor. Lux(Light) and some time CO2 also. Yuktix data-logger come with all these sensors(factory options). Yuktix Cloud provide the service of storing sensor data in NOSQL time series data base and show them visually on Yuktix website which you can see from anywhere. We can also run some complex algorithm on the same data to find out some usefull results like probability of disease happening to plants etc. Also Yuktix cloud service provide the service of notifications through message on mobile and notifications on email and Android app. A small screenshot of Yuktix Cloud app is below. Yuktix android app provide you a better way to have a eye on your greenhouse from your android phone. 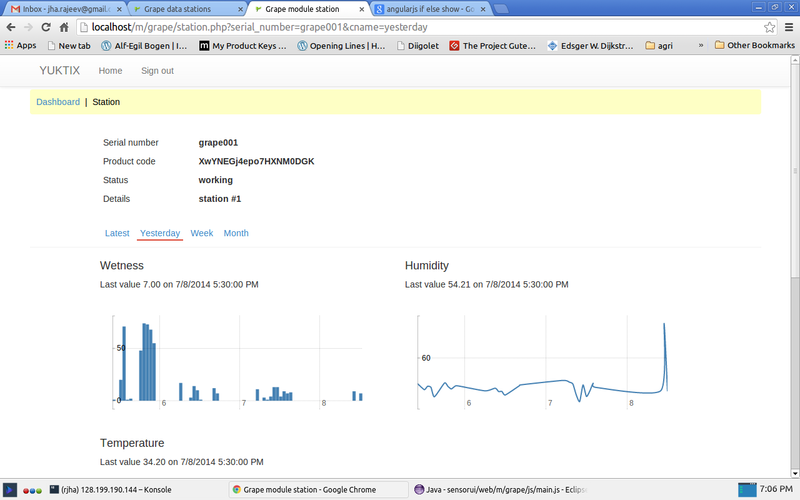 Yuktix Android app comes bundled with Yuktix data logger. With yuktix android app you can see all the real time data on the run. So Yuktix data logger can be efficient solution for greenhouse managers and greenhouse owners. With Yuktix data-logger installed at each of their greenhouse they can remotely monitor what climatic change is happening in their greenhouse and if they find any thing going wrong, they can alert their supervisors at the same time. Yuktix data-logger has following advantages. (c) Know when misting is required. (5) Remove guess work and provide interface to Yuktix control solutions for greenhouse. so with all these advantages, greenhouse owners or farm managers don't have to run everytime to their greenhouses situated in different part of city or country, they can simply take out their mobile and can see what is happening. For more technical specifications, please visit this link and for costing please drop us a mail at support@yuktix.com. We can customize our remote monitoring solutions for big greenhouses or as per users requirement.